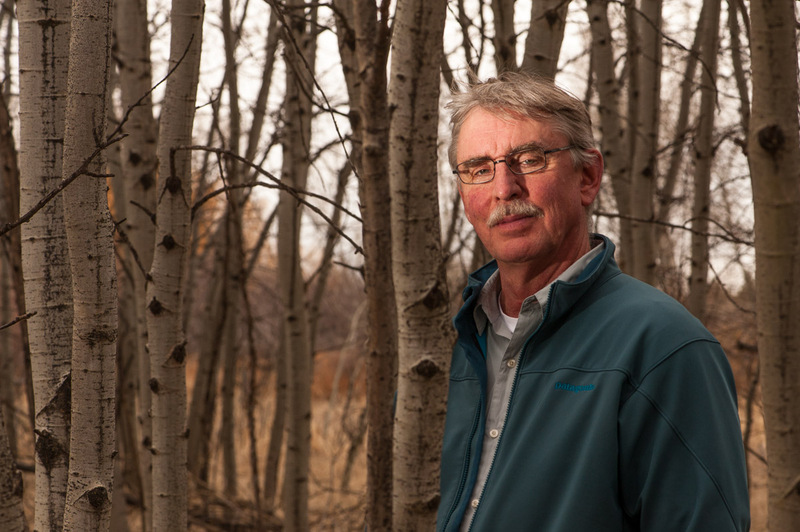 My friend Al Kesselheim wrote a wonderful story about wetlands for the summer issue of Montana Quarterly. In it, he says that wetlands used to be called swamps and were seen as undesirable. We spent time and money to drain the wetlands so we could farm the ground. 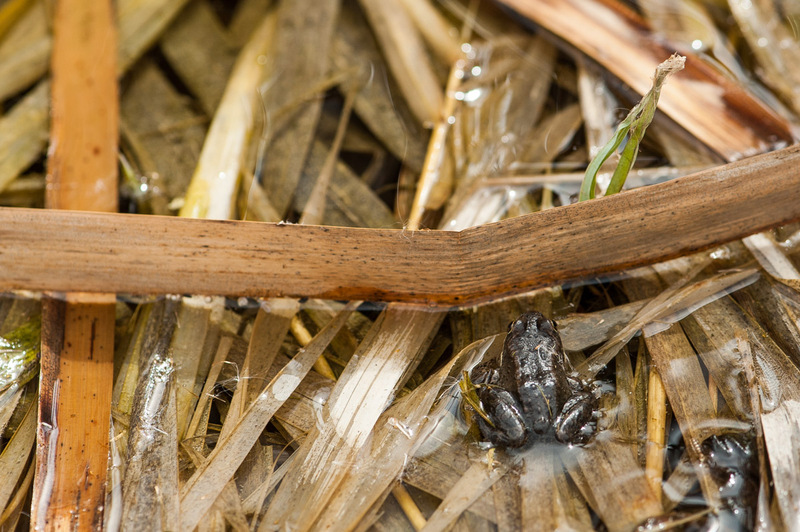 Now we see them as habitats we should preserve, like the wetlands along Interstate 90 near Bozeman, which is home to this little frog, tons of aquatic insects and waterfowl galore. Al’s story goes on to quote Lynda Saul, wetland coordinator for the Montana Department of Environmental Quality, saying that though wetlands only take up five percent of Montana’s space, they support more than half of our endangered wildlife.”That’s why I call them the coral reefs of the West,” she says. 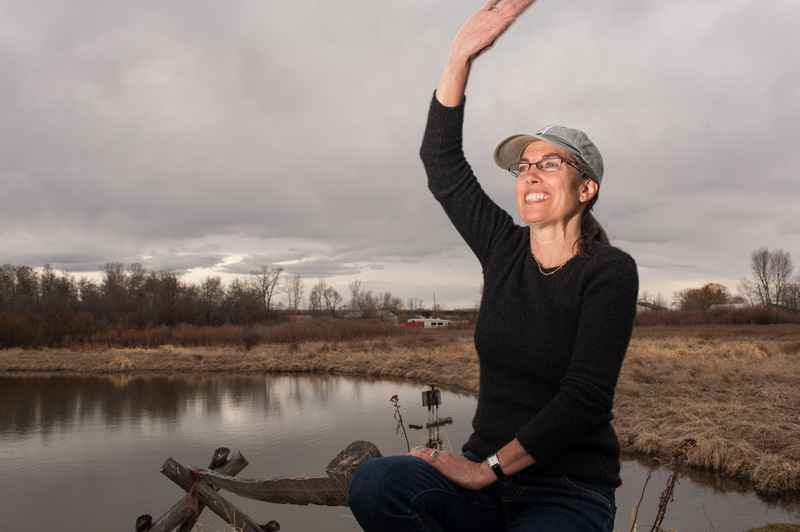 Maddy Pope, here waving to a friend by an irrigation pond at Story Mill in Bozeman, is managing the Trust For Public Land‘s Story Mill restoration project in Bozeman. 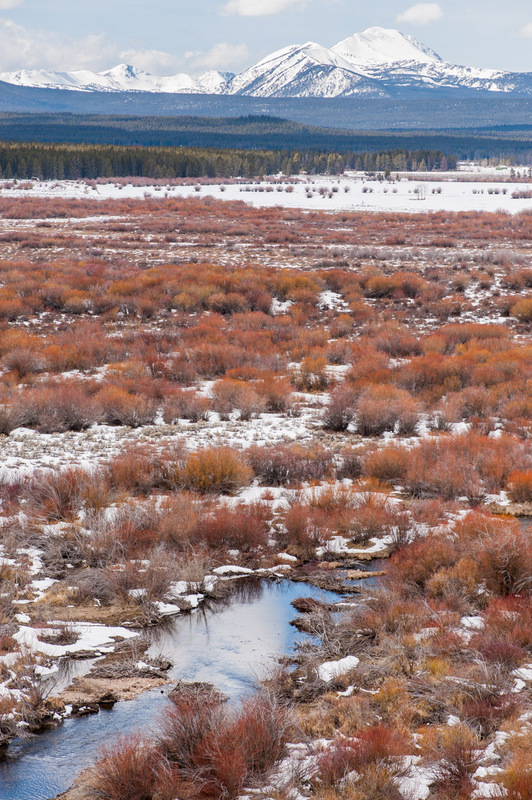 In Bozeman’s early days, the area was converted from a wetlands to a farm. complete with the irrigation pond. Now TPL is turning that around, with plans to drain the pond and re-establish wetlands for area wildlife. “This is about water in our urban core,” says Pope, and brags that wildlife abounds on the property still within Bozeman city limits. 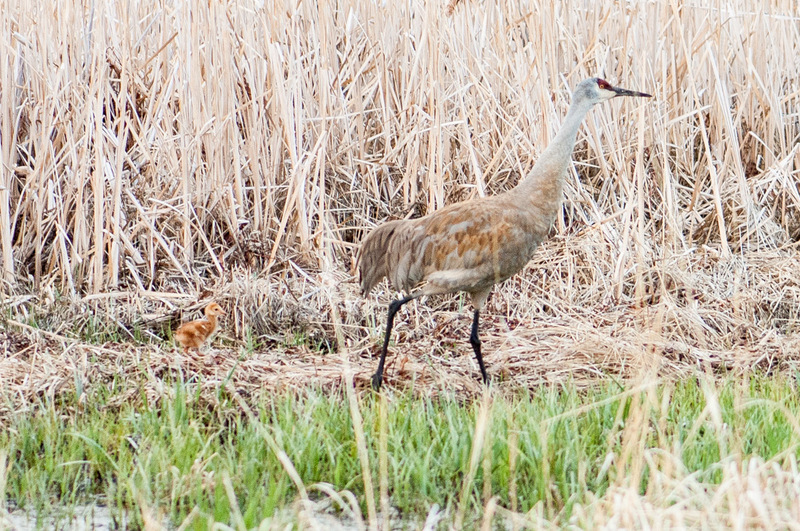 Deer, mountain lions and a nesting pair of sandhill cranes are just some of the denizens. 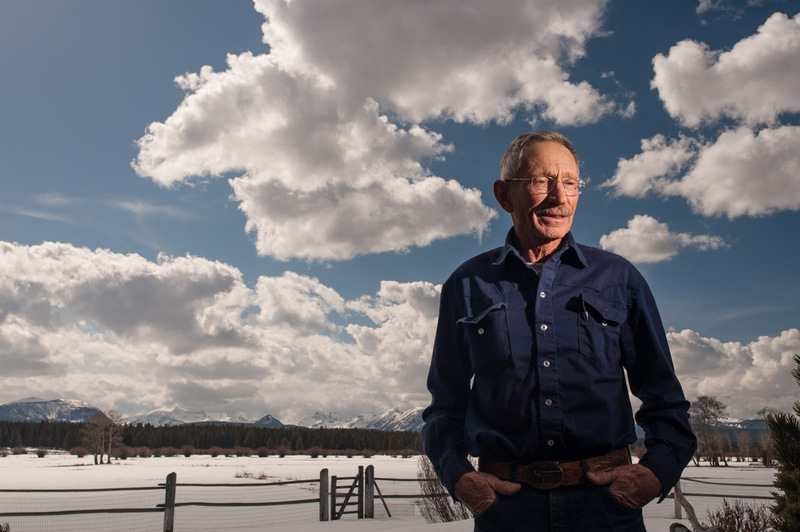 John Dooling manages his ranch along the headwaters of the Big Hole River near Jackson, Montana, on the western edge of the state. “I guess you’d say I’m a reactionary conservative,” he says. He doesn’t like anyone telling him how to run his ranch.